Questioning 'fairly standard practices' is now well established in classical music, with the most recent example being Stephen Hough's questioning of concert duration and formal dress. But like many things in classical music, selectivity is the name of the game when it comes to asking questions. There is an open season on standard practices such as formal dress, the abolition of which results in nothing more than a cosmetic change. Questioning more sacred practices such as unamplified sound - as Jonathan Harvey did in an interview with me - offends the music thought police and, as a result, provokes little constructive debate. But there are some standard practices that you must never question if you want to continue working in classical music, and these are the practices hidden from view in the music supply chain. 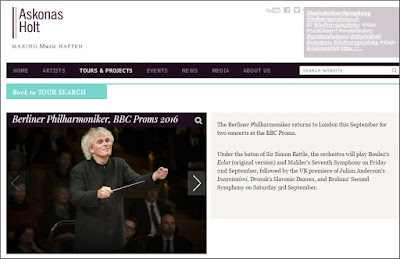 In a friendly Facebook discussion about the last minute appearance of cellist Alexey Stadler at last week's BBC Prom, Richard Bratby pointed out quite correctly that the replacement of an indisposed musician by another from the same management agency is "fairly standard practice". HarrisonParrott getting first dibs at providing a replacement for Truls Mørk at the Proms is just one minor example of the standard practices that may be mutually convenient but should not escape scrutiny. Alexey Stadler arrived at Heathrow four hours before the Prom started. 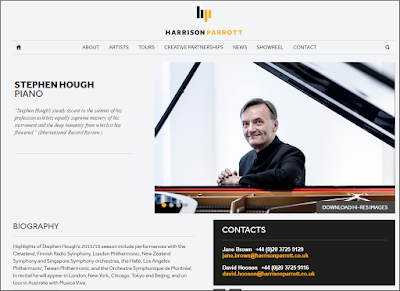 We do not know, and presumably will never know, if another suitable cellist without a HarrisonParrott contract was available closer to home to play the Shostakovich Concerto. We are told repeatedly that classical music needs bigger audiences. But that is only a partial truth. Because classical music only needs a bigger audience if it is to continue to pay for its current inflated supply chain costs. There is an alternative, which is to stop chasing bigger audiences and instead take cost out of an overly complex supply chain. (The same logic applies to the appeals for more funding - cut supply chain costs and the same funding goes further). Demands for shorter concerts and informal dress spin well, but making the music supply chain shorter and more cost efficient does not. The supply chain is the convoluted path along which music travels from musician to audience; via studios, mastering/editing facilities, record companies, concert promoters, management agents, embedded journalists, PR consultants, distribution platforms, concert venues, etc etc. Every link adds cost, and music distribution chains are getting longer, more complex and therefore more costly, and those costs can only be covered by bigger audiences. Supply chain cost inflation comes in many forms, and one of these is intermediation. Intermediation happens when middle-feeders are interposed between supplier (musician) and consumer (audience) in the supply chain. One example in classical music is the numerous consultants who are paid handsomely to undertake enigmatic tasks such as 'building social equity of classical musicians through the fusion of traditional and new media'. Consultants are just one manifestation of intermediation, another is management agents. As can be seen above, Stephen Hough is managed by none other than HarrisonParrott, a very professional agency but also one of the toughest negotiators in the business. It represents many of the biggest names and the header graphic shows just a small sample of the 181 leading musicians signed to it. The other most powerful management agencies have artist rosters of around the same size, so some rough and ready maths are revealing. This year there are 75 BBC Proms each needing a conductor and soloists; so let's say there is a requirement for around 200 star musicians. To meet that requirement the four leading management agents have more than 600 star musicians signed to them. Which means the probability of a musicians getting a gig at the Proms or any other major venue is significantly reduced if they are not signed to one of the big agencies. There is a clear 'us' and 'them' divide. For instance as seen below, the 2016 BBC Young Musician winner cellist Sheku Kanneh-Mason has already joined Jaap van Zweden, Alan Gilbert and Antonio Pappano at IMG Artists and, doubtless, in time will join them on the concert platform. Agents also represent orchestras. 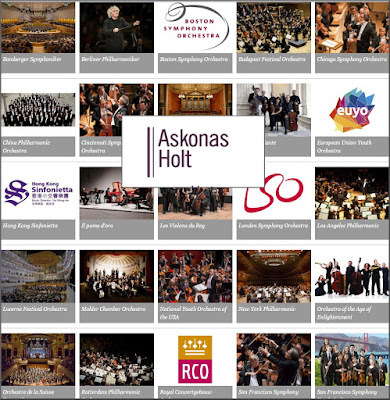 For instance HarrisonParrott's rival Askonas Holt represents no less than 38 orchestras. (See footer graphic for just some of these orchestras.) Among them is the Berlin Philharmonic Orchestra when it tours. Askonas Holt also manages Simon Rattle, and Rattle and the BPO appear together at the BBC Proms on Sept. 2nd & 3rd as an Askonas Holt tour package - see below. 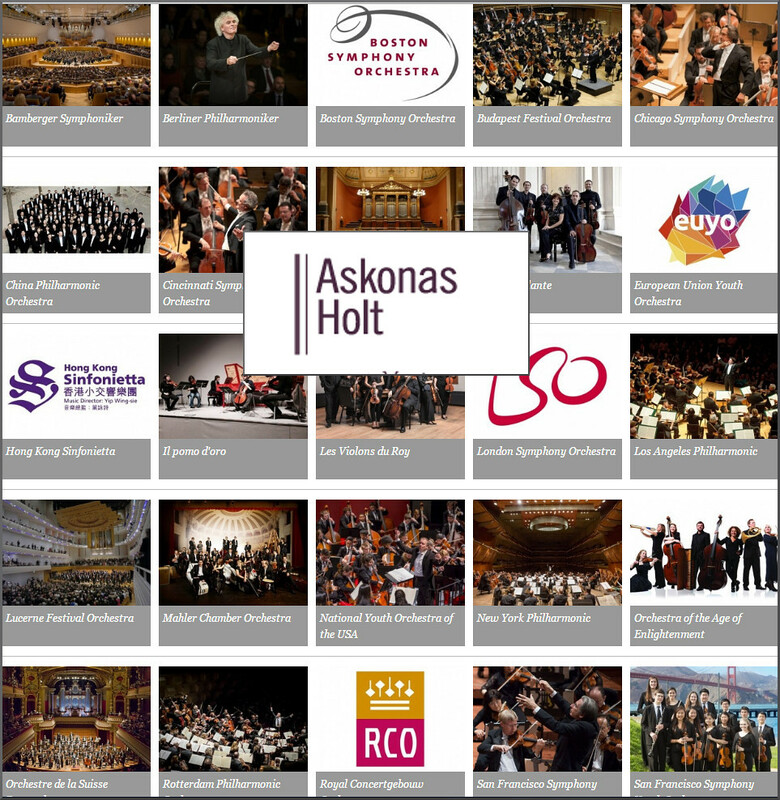 And it is not irrelevant that Askonas Holt also represents Rattle's post-Berlin orchestra, the London Symphony. (Refreshingly, the new music director of the City of Birmingham Symphony Orchestra Mirga Gražinytė-Tyla, who gave an acclaimed Prom last week, is not managed by one of the 800-pound gorilla agencies.) Intermediation is further extending its tentacles, with the major management agencies offering consulatancy services. 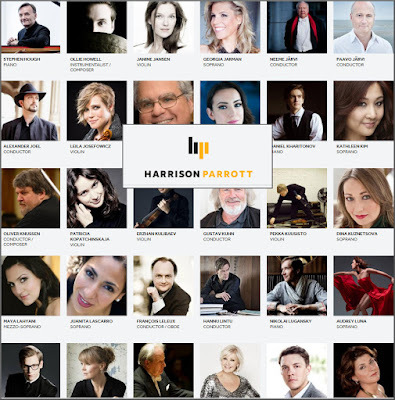 For instance HarrisonParrott provides consultancy services to the Gothenburg Symphony Orchestra in the form of "ongoing consultancy including the development of statement projects, strengthening GSO's international touring, and leveraging its international brand through marketing, PR, recordings and digital initiatives". And management agencies have even started record labels as joint ventures, albeit with limited success. Of course we need agents, because they perform the essential task of bringing musicians and audiences together. But that does not absolve them from close scrutiny. Like new technologies, all intermediation should be assumed guilty until proven otherwise, and not vice versa. The commission earned by top management agencies is a well-kept secret despite often being paid by public funding, but probably adds around 15% to the already large fees paid to celebrity musicians. And those large fees need more audience bums on seats to pay for them. Agents have considerable control over both the financial and artistic agendas, and their practices are largely hidden from public view. That control can be abused and has been abused. In 1955 following an FBI investigation, the United States Department of Justice charged Columbia Concerts Corporation (the forerunner of Columbia Artists Management) with restraint of interstate trade and commerce in the booking of artists, and also with monopolizing organized audience associations. The agency and three other defendants pleaded no contest and were forced to release their monopoly position. In the past there has also been clear evidence of institutionalised racism in the industry's then most powerful agency. Classical music is overflowing with experts. But they preach nothing other than spending more to attract bigger audiences, which invariably adds cost without growing the audience. As an example, informed estimates put the cost of Universal Classic's failed Sinfini Music website at several million pounds. The value of the UK recorded classical music market is approximately £20 million and let's assume that Sinfini cost around £1 million a year to run. Which means that towering monument to the folly of intermediation flushed 5% of the total value of the UK recorded classical music market down the toilet in a year. Classical music is about nothing more than supplying great music from performer to audience with minimal intervention en route. The most efficient ideal supply chains are lean and mean with minimal intermediation, as supermarkets have proved. In contrast the classical music supply chain suffers from excessive levels of intermediation and is riddled with self-interest and hidden costs. The experts are quite right when they say classical music must change. But it is the music supply chain that must change, not the duration of concerts. All graphics are based on material on the public pages of management agency websites. Any copyrighted material is included as "fair use" for critical analysis only, and will be removed at the request of copyright owner(s). Also on Facebook and Twitter.